The stocking was my favorite thing to open when I was a kid. As an adult..I still love a good stocking stuffer! I've came up with 11 gifts for "HER" that would make amazing stocking stuffers! The best part..they are all under $50! I've provided affiliate links below to all the items above. 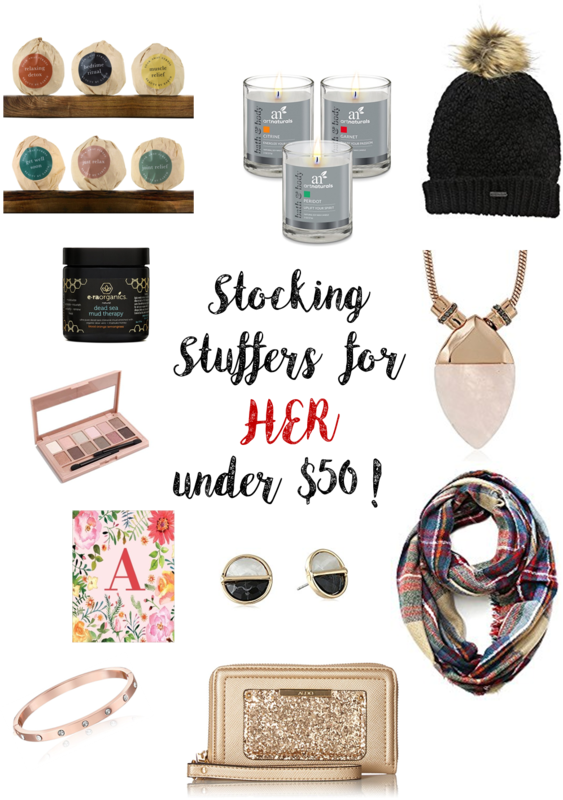 If you're needing last minute gifts for a friend, your mom, or a girls gift at a Christmas party...any of these would be perfect! Wishing you all a very Merry Christmas!